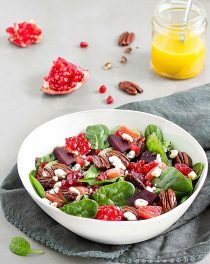 This spinach salad with beets and pomegranate with maple citrus vinaigrette is the perfect winter salad! This spinach salad is colorful, nutritious, full of flavors and textures. Baby spinach is topped with earthy roasted beetroots, sweet-tart pomegranate, salty crumbled gorgonzola cheese, tangy grapefruit, and crunchy candied pecans. A simple maple citrus vinaigrette is all you need to make this salad shine. The recipe is super easy but roasting the beetroots takes some time, approximately 30-35 minutes (it depends on the size of your beets). If you don’t want to wait for 30 minutes, buy precooked beetroots in vacuum packed bags or roast them the night before. The maple citrus vinaigrette comes together in 2 minutes, just pour the ingredients into a jar and shake! 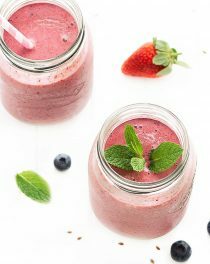 It can last in the fridge for at least a week so you can make a bigger batch and use it on lots of different salads. Feel free to replace the spinach with any other salad greens: mixed greens, romaine hearts, arugula, or kale. You don’t have to use crumbled gorgonzola cheese – any crumbled blue cheese or feta will do. Leftovers can be packed for lunch the next day, just keep the dressing separate and add it just before serving. 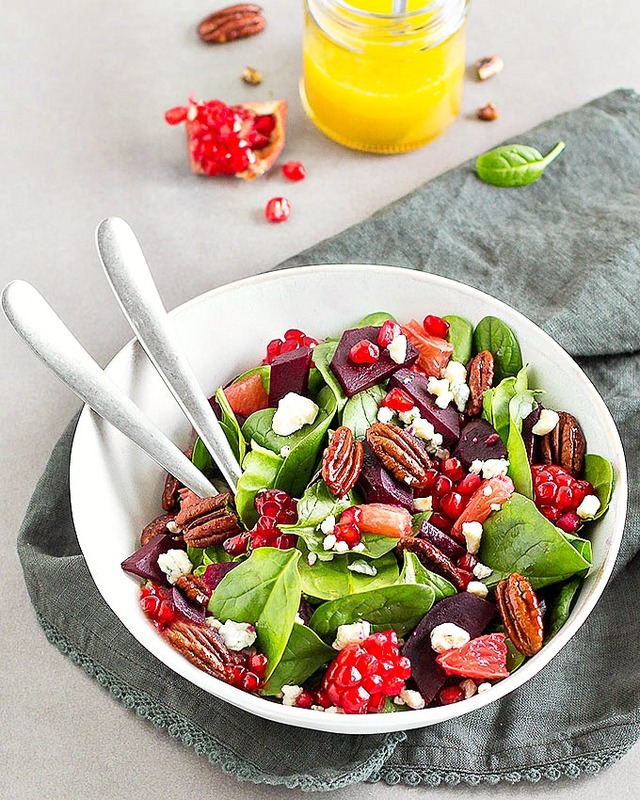 If you try this spinach salad with beets and pomegranate let me know what you think! Leave a comment and don’t forget to take a picture and share it on my Facebook page or tag it #aseasyasapplepie on Instagram! In a large bowl, toss the beets with olive oil, salt and pepper. 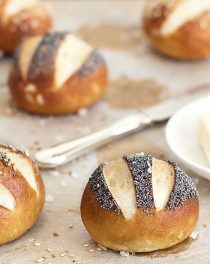 Spread them out in a single even layer on a baking sheet covered with parchment paper. Roast for 30-35 minutes or until tender. Line a baking sheet with parchment paper, add the pecans and toss with the maple syrup, cayenne pepper and a pinch of salt. Bake at 200 degrees C (400 degrees F) for 15-20 minutes, stirring occasionally, until the pecans are toasted and golden. Remove from the oven and spread the pecans in one layer and set aside to cool. 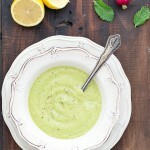 Prepare the maple citrus vinaigrette: mix all the ingredients in a glass jar with a lid and shake well until combined. 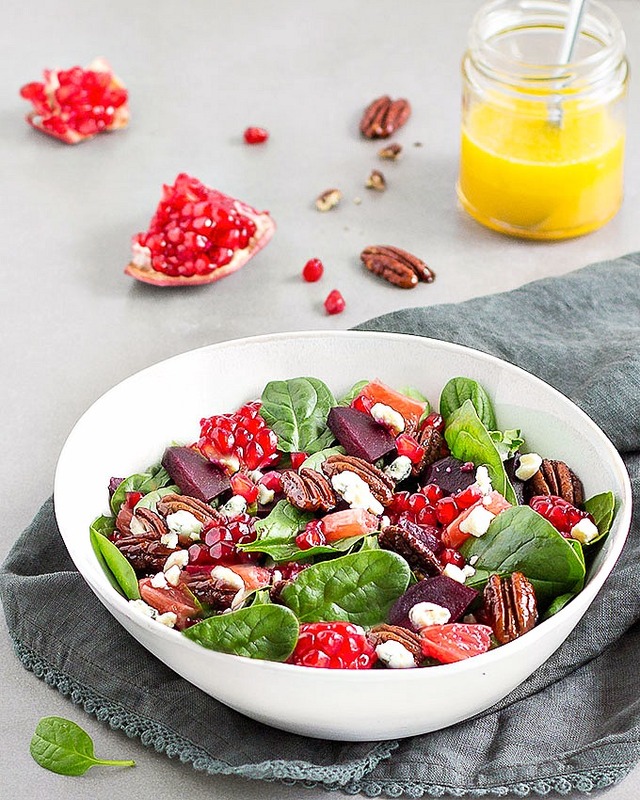 In a large mixing bowl, add the baby spinach, pomegranate arils, beets, grapefruit, pecans and crumbled gorgonzola cheese, drizzle the dressing over the spinach salad and serve.